Could you imagine living in a fire damaged building for two years? How about paying monthly HOA fees for a condo that's still uninhabitable and unrepaired two years after the fire? 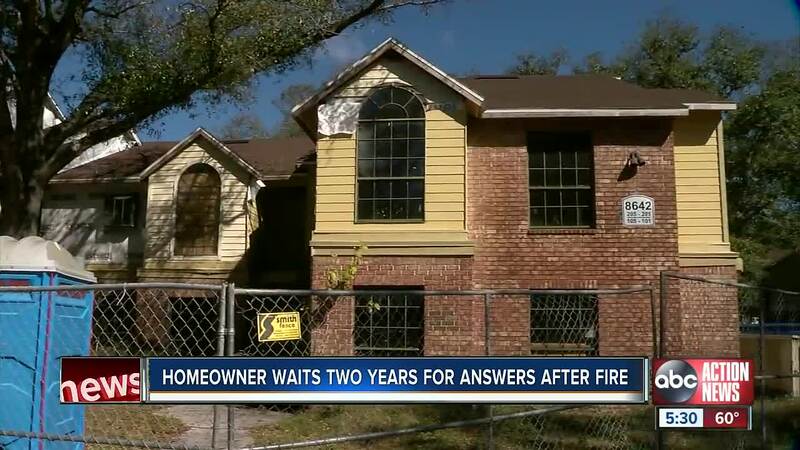 HILLSBOROUGH Co., Fla. — Could you imagine living in a fire damaged building for two years? How about paying monthly HOA fees for a condo that's still uninhabitable and unrepaired two years after the fire? “It looks left to rot," she said staring at the building. “In a month it will be two years. I see a lot of failures is what I see," she said. Khaziran is pointing the finger the management company under the helm of her HOA. She's furious repairs haven't been completed. “I just keep paying and paying and hoping and hoping and I just feel taken advantage of," she said. She pays $350 out of her pocket every month in HOA fees for a home in which she's never been able to return. Since the fire, she's paid upwards of $6,000 in fees without actually living there. “How do I plan my life? How do I move forward?" Khaziran asked. ABC Action News found out the last management company for the Grand reserve was fired. A new one, Resource Property Management just took over in November. We also saw something we hadn't seen during our original reporting back in June, contractors. Carl Porchiazzo, another condo owner, says the new management company is making headway but believes more can be done, especially over at Khaziran's side of the building. “What progress has been done to that side of the building?” we asked him. “Nothing. It’s just still sitting," he responded. Khaziran says the treatment is unfair. “Why is there not more people doing construction on this side?" She asked. Khaziran faces yet another payment due date for a home that's not there. She'll continue paying. But she wants those at the top to know one thing. “Everybody in this entire building has been through enough. It’s time to get it done," she said. ABC Action News reached out to the Hillsborough County Code Enforcement on whether there's any time limit to how long a project of this nature can keep going. Code Enforcement tells us the company has an active work permit and as long as they keep having inspections every six months there's no deadline. Essentially, Khaziran is in limbo when it comes to county intervention. "We are aware of the hardship the displaced owners at Grand Reserve have suffered over the past two years. Since our company was hired in November 2018, we have worked diligently to get this project back on track. We cannot comment on the circumstances prior to our involvement, however we are committed to seeing this project through to completion. We are working closely with contractors, engineers, the insurance carrier and county officials to ensure the restoration is completed as soon as possible and owners are returned to their homes."